Singapore has been actively promoting its fund management industry since the early 1990s. 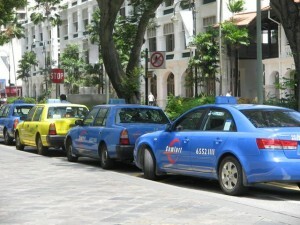 Unlike Hong Kong, where the growth of the funds sector has been mostly market driven, the industry in Singapore has been largely government-led. 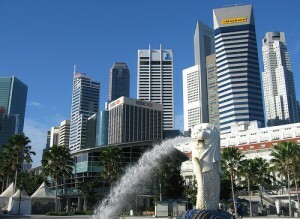 At the height of the Asian financial crisis in 1998 when its fund management industry was struggling with a difficult investment climate, the Singapore government introduced a slew of incentives and reforms in an effort to turn the republic into a premier fund management hub in Asia within five to ten years. The idea was to attract more internationally reputable fund management companies to set up operations in the country. Singapore wanted to become a centre for managing the Asian investment portfolios of both Asian and Western clients, and to manage the global investments of Asian clients. Among the reforms were those geared towards liberalising the unit trust industry and increasing the pool of domestic funds available for professional management. Approval procedures for new unit trusts were streamlined and made more transparent, cutting down approval time from 2-3 months to 4-6 weeks. Restrictions on unit trusts savings plans were also scrapped. Regular savers no longer needed to contribute a minimum monthly amount, which paved the way for the lower income group to invest. In 1998, the government also enhanced distribution channels for unit trusts and liberalised the Central Provident Fund Investment Scheme (CPFIS) to encourage more Singaporeans to invest their mandatory monthly retirement savings in CPF-approved unit trusts. As a result, the unit trust industry in Singapore grew from S$1.2 billion as at end-1994 to reach S$14.1 billion by end-2002. In response to globalisation, product innovation and technological advances in the financial services industry, the government further relaxed unit trust sales in 2002, by allowing funds domiciled in an offshore jurisdiction to be offered for sale locally to the general public. 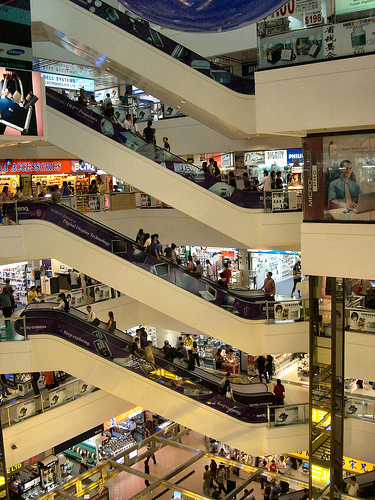 More than 50 foreign domiciled unit trusts were registered for sale in the Singapore retail market in 2003. In its latest 2006 Singapore Asset Management Industry Survey, the Monetary Authority of Singapore (MAS) said that total assets under management (AUM) invested in unit trusts had reached S$30 billion by 2006, with a total of 374 collective investment schemes (CIS). CPF money was recognised very early on as a source of funds that could help promote the fund management industry in Singapore and attract global fund managers to set up shop in Singapore. In 2006, CPF-approved unit trusts accounted for the bulk of CIS investments at 69 per cent of total CIS AUM, the MAS survey added. Last year, bringing fees down was a hot topic in the Singapore fund management industry with the CPF board showing the way. The board announced in December 2006 that it would be implementing a cap on fee charges for new investments in funds that use CPF monies. Sales charges will no longer be allowed to exceed 3 per cent from July 1, 2007; while annual total expense ratios will be capped at between 0.65 and 1.95 per cent, depending on how risky the fund is, from this January 1. Funds that are unable to meet these fee limits will not be permitted to take in new CPF monies and investors who are already committed to these funds can either leave their money where they are or switch to other CPFIS funds, at no cost to them, within a stipulated time period. The CPF explained that the new rules were meant to help members build up their retirement savings faster. Sales charges and expense ratios erode investment returns, the board explained, adding that the sales charges and expense ratios of CPF funds were high compared to other markets. 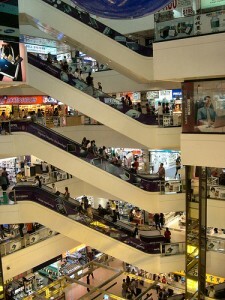 The industry responded by de-listing several funds, which were unable to meet the fee cap criteria, from the CPFIS; including are the First State Global Property fund, the Lion Capital Korea fund, the Lion Capital Taiwan fund, the PRU Japan Smaller Companies fund, the Schroder Japanese Equity fund, the SGAM Asian Real Estate Dividend fund, the UOB United Japan Growth fund, the UOB United European Equity fund, the AllianzGI Asia Tiger fund and the AllianzGI Global Internet fund. The Investment Management Association of Singapore (IMAS), a representative body of investment managers, set up in 1997, to spearhead the development and growth of the fund management industry in the republic, said that it expected about 30-40 per cent of CPFIS funds to be pulled out from the scheme by this year. Meanwhile a Lipper Insight Report on Singapore Fund Flows reported that in 2007 the Singapore unit trust market recorded a robust aggregate inflow of S$5.581 billion, up considerably from S$2.058 billion in 2006. While equity unit trusts represented the majority of the increase in funds under distribution recording a net inflow of S$3.830 billion for the year, the continued uncertainty of the global markets saw flows into equity unit trusts slowing to S$720 million in the fourth quarter of 2007, after topping S$1.694 billion in the third quarter. Domestic Singapore dollar funds of about S$113.8 million contributed to the bulk of flows into bond products while interest in quasi-government securities led to a larger S$88.4 million aggregate increase for fixed income offerings and inflows into mixed-asset products increased further to S$543.6m for the fourth quarter. Money market funds grew S$160.2 million, while guaranteed and protected unit trusts contracted further, with net outflows of S$26.30 million and S$43.01 million, respectively. With markets generally experiencing great volatility last year, fund managers in Singapore agree that investors here are becoming more resilient when faced with market corrections. They are better adapted to the changes in the market, they said – a sign of growing investor maturity. New funds launched in Singapore last year tended to be more thematic in nature, for example, there were funds based around resources, commodities, environmental change and the Middle East region; again signalling increasing maturity and sophistication in the Singapore unit trust market. In an effort to attract more large players to set up shop in Singapore, the MAS last year did away with the 80:20 rule, which required that non-Singaporeans make up at least 80 per cent of investments in a fund for it to be tax exempt. With the abolishment of this rule, as long as certain conditions are satisfied even if there is only one non-Singapore person investing, the fund will be exempt from tax.